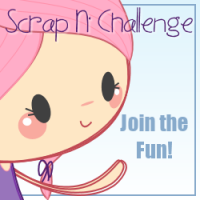 Scrap N' Challenge: Snowball Fight Winners! It's time for the best part of having challenges ... naming the winner! To pick the winners I will be using random,org and each participant will be chosen by their corresponding blog hop number. Just to recap ^^ Here are the entries again! 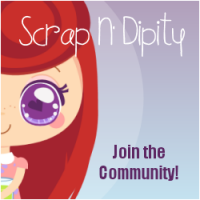 Each will receive a FREE digital stamp of their choice from the Scrap N' Dipity shop! Alright, without further ado ,.. here are our picks! 1st Place - #3 - Macu Ojeda‎! 2nd Place - #1 - Romina Desing! 3rd Place - #4 - Margaret A! I'll be contacting everyone via email so you can redeem your prizes! Since this was our FIRST challenge, and we didn't do the typical Winner and Top 3 winners I have created some special badges to display on your site. You can grab them below! Congrats to the winners. Everyone did a great job. Thank you so much for picking me as the third winner and for the special badge. I received your email, thank you, and I have answered it.